What is the #1 cause of divorce? Well, studies might claim that it is finances, or children with disabilities, or irreconcilable differences, or adultery, or abuse, or addiction, but I am convinced that all divorces are the result of one or two hard, stubborn hearts. 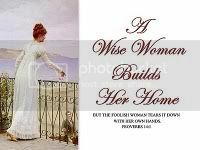 Many divorces could be avoided if at least one of the partners would soften their heart, and just do what God commands. . . like love. . . forgive. . . be tenderhearted. . .be ye kind. . .do all things without complaint. . . in everything give thanks. Do not harden your heart and become stubborn. It leads to bitterness, resentment, unforgiveness, loss. . . divorce. If you are considering divorce, you should test the hardness of your heart. God’s will is for you to walk in love. He does not want to see you make a decision that will bring hurt, resentment, bitterness and loss for you or your children. The worst sin you can commit against God, is to reject His wisdom — His gifts to you, and follow the stubborness of your own heart. Yes, God gave us the free gift of choice, but is pleased when, in faith, we follow His ways, instead of the stubborn inclination of our knowledge of good and evil. In His path is blessing, goodness, wisdom and joy. Don’t be stubborn! If this causes your heart to rise up in rebellion, resentment. . . or stubbornness. . . just consider coming back and reading the next post!